Lahore School of Economics is holding its Third Annual Conference on Management of Pakistan Economy (Economic Reforms: The Road Ahead) on May 2-3, 2007. The Conference will bring together a group of distinguished policymakers, academics, and international experts related to economic management. Many of them would present papers on various aspects of the management of the economy of Pakistan. 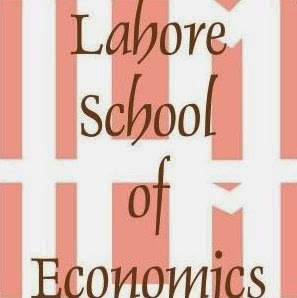 Later, the papers will be published in a special issue of our journal – the Lahore Journal of Economics. “Human Development and Industrial Competitiveness” will be discussed in the second session. Javed Masud, Mehak Ejaz, Dr. A R Kamal, Dr. Theresa Chaudhry and Shamyla Chaudhry will present papers and the session that will be chaired by Sartaj Aziz. On May 3, 2007, the first session on “Financial Sector Restructuring” will be chaired by Dr. Naveed Hamid. Speakers include Dr. Shakil Faruqi, Muhammad Arshad Khan and Dr. Abdul Qayum. Fasih-ud-Din, Dr. Naveed Zia Khan, Samina Shabir, Reema Kazmi, Dr. Azam Chaudhry, Kalim Haider and Dr. Eatzaz Ahmad, will deliberate on “Industrial Trade” in the concluding session that will be chaired by Dr. Eatzaz Ahmad.